GOLF’s Top 100 course panelists are among the most respected and well-traveled course evaluators in the game. They’re also keen to share their opinions. In this new GOLF.com series, we’ll be granting them anonymity and turning to them for their unvarnished views on all questions course-related. The goal is not only to entertain you but also to give you a better understanding of how GOLF’s panelists assess courses. 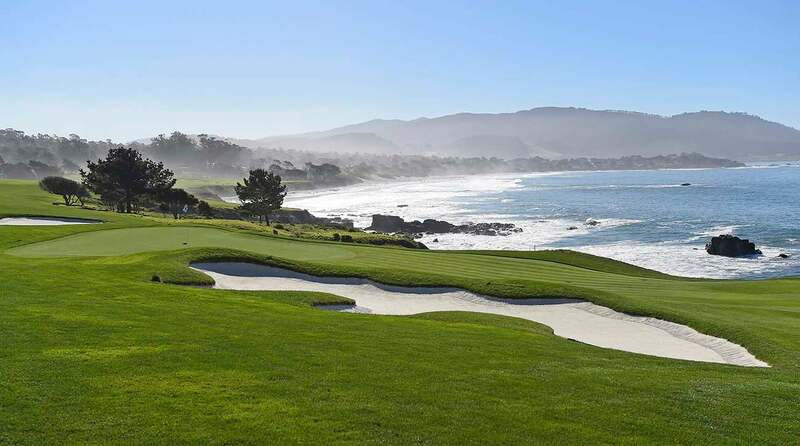 With the PGA Tour heading to Pebble Beach this week, we’ve asked our experts for their takes on the courses of the Monterey Peninsula, with a focus on the star venue of the AT&T Pebble Beach National Pro-Am’s three-course rota. 1. 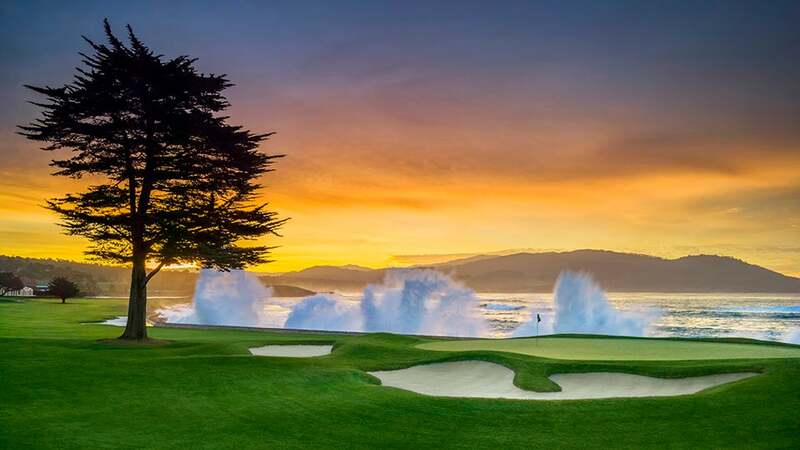 Pebble Beach Golf Links currently stands at No. 9 in GOLF’s rankings of the Top 100 Courses in the World. Too high? Too low? Just right? Panelist 2: Too low. It is my favorite course in the world to play. Pine Valley is my number-one rated course in the world, but it can beat you to death. Obviously, all the ocean holes are spectacular-looking and definitely are a key part of the design. The coastline actually comes into play. This is unlike many of the recently built ocean view courses where the playing surfaces are pushed away from the water due to environmental restrictions. I like all the holes. The 14th is one of the greatest par-5s in the world. Try walking backwards on this fairway and you will be treated to another spectacular ocean view. All 18 approach shots are challenging because, for a resort course, the greens are surprisingly small. And the slopes mean you have to be on the correct side of the green. There’s no end to the thrills, starting with the second shot from the right-hand side of the par-5 sixth, followed by the tiny but treacherous seventh, capped off by the second shot on 8, along with the coastline view down numbers 9 and 10. 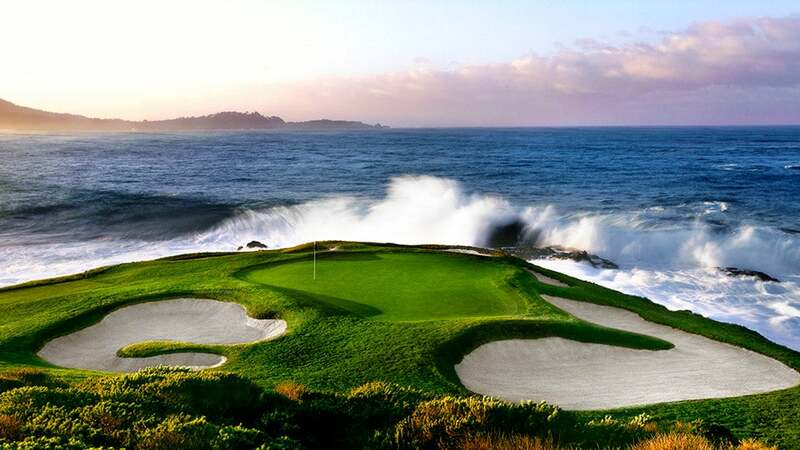 Panelist 3: Without a doubt Pebble Beach is a Top 10! The combination of the tiny green complexes and fortress bunkering throughout make it a demanding golf course. It plays longer than the scorecard yardage and the rough can be heavy and penal. Yet it’s fun and stirs all the emotions of a great experience. Of course, the spectacular views and cherished history aren’t bad either! Panelist 4: It’s about right. Discussions of Pebble Beach emphasize the ocean holes and the beautiful setting but what should be discussed more is that Pebble is such a great test of ball striking. The combination of small, well-bunkered greens, ocean breezes and the lack of runups require solid and precise shots to succeed. Panelist 5: I personally believe it is slightly too high and vote it bi-annually in the 10 – 24 column. While there are some spectacular “wow” holes along the ocean like 8, 9, 10 and 18, there are too many “ordinary” holes like 1, 3, 11, 13, 15 and 16 to warrant a place in our Top 10. Furthermore, if there is no wind, even the 7th hole can be quite ordinary, requiring a simple wedge shot on a hole measuring just over a 100 yards. Yes, the view is great, but if we were ranking courses based on the views, then Old Head would be right up there. While there are some spectacular 'wow' holes along the ocean like 8, 9, 10 and 18, there are too many 'ordinary' holes like 1, 3, 11, 13, 15 and 16 to warrant a place in our Top 10. 2. What is the best hole at Pebble and why? Panelist 1: Have to agree with Jack Nicklaus and say number 8. It has great natural beauty to compliment the design and the strategies required to navigate the hole for all levels of golfers. Panelist 2: The 8th. Once you reach your blind drive, the downhill scene in mind-boggling. There is a forced carry over an inlet 50 feet below with churning ocean water. The tiny-looking green with bunkers at both sides and behind and the steep cliff just to the right make this the most beautiful and challenging hole in all of golf. This view will be burned in your memory forever. Panelist 3: The 8th is the usual answer, but for me the 9th is the more spectacular hole. The drive is demanding and can either catch the hill and roll out, or it leaves you with a difficult long iron or hybrid to a very well protected green with very little bailout. The left front bunker is monstrous, and Carmel Beach on the right is rather intimidating. This hole demands a great drive and approach shot, whereas on 8 the “drive” is not quite as pivotal. Panelist 4: Everyone talks about the 8th, but I do not think a truly great hole requires a lay up off the tee and a blind one at that. Despite the greatness of the approach at 8, the best hole at Pebble is the 9th. It is a great example of north-south strategy. The player can play a shorter club off the tee leaving a flat lie but a long approach to a tiny green, or they can hit driver leaving a shorter approach off a hanging lie into the green. The setting along the beach is pretty good, too! The hole that has improved most with modern technology is the 18th. In the past it was an almost guaranteed and predictable three shot hole in an idyllic setting. With the hot clubs and balls, it is enticing to take a more aggressive line near the ocean on the tee shot to get close enough and leave a good angle to reach the green. Panelist 5: The 8th hole definitely does it for me, both strategically and for the views. You have to hit your drive to the correct position up the right of the fairway in order to get a view of the second shot, as I believe it is very important to be able to fully see that shot in your mind as you set up to play it. Any slight push with your drive or your second shot and you are in the ocean. Any drive too far left, even if on the fairway, could leave you with a very scary “blind” second shot. Great hole! 3. What is the worst hole at Pebble and why? Panelist 2: The 5th. The location of this recently moved par-3 offers the potential for something spectacular. The land hugs a steep cliffside tumbling down to Stillwater Cove. Before playing it for the first time, my anticipation was really high and then the reaction was “is this the best you can do!” It is okay, but compared to so many great holes here there is something lacking. Instead of hiring one architect they should have opened up a competition to everyone. Maybe someone with real imagination would have come up with a gem. Panelist 3: The first is perhaps the worst, and most forgettable. It just doesn’t get the heartbeat up, and it’s probably the easiest par on the golf course. But perhaps they wanted it that way 100 years ago when it opened, to loosen the muscles before the rest of the challenge? Panelist 4: The first hole is a mundane opener for a great course and the 12th green (and arguably the 17th as well) is too shallow for the length of the shot. But the worst hole is the 3rd, until the bunkers on the far side of the dogleg are removed. The bunkers are unnecessary and dominate the look of an otherwise good hole. Before the bunkers were added, you saw many players blow their tee shot through the fairway leaving a difficult approach from a bad angle out of the rough. Panelist 5: I would rank the 11th as being the most ordinary hole on the course, particularly as it comes after the best three hole stretch of 8-10. A simple drive and wedge hole, with the only defense being the sloping green. 4. Given an unlimited budget and no restrictions, what, if any, changes would you make to the course? Panelist 1: Open up the front right of 16 by removing trees but also add risk to prevent the bombers from cutting that corner ( which may have been the reason for the trees). Create more room on right of 9 fairway, enticing players to flirt with the edge to get a better angle for approach. Panelist 2: I would eliminate the trees on the right side of 18. The ones by the bunkers on the tee shot and the big one short right of the green. The removal of the big one would mean more good players going for the green in two, which would add more excitement from a playing standpoint and also TV. Panelist 3: I would buy all the houses along 18 and raze them, and build a nice embankment along the fairway where tournament viewers could picnic and watch the golf and ocean. You said unlimited budget, right? Panelist 4: Besides taking the fairways bunkers out on 3, I would return the tree that was in the ravine in front of the 15th tee, which made that tee shot scary even for the best players. Kite hit it through the tree in the final round of the 1992 US Open. I would remove the second bunker on the right side of 18 as well. Panelist 5: I would reintroduce the ice plant on the left of the 6th fairway. Removing that five or six years ago was a travesty (probably at the request of the PGA Tour players! ), as it was a natural part of the course for decades. Imagine the outcry if they were to remove the gorse from the Old Course! I would buy all the houses along 18 and raze them, and build a nice embankment along the fairway where tournament viewers could picnic and watch the golf and ocean. 5. Rate your top-5 courses in the Monterey area. You can go as far east as Carmel Valley and as far north as Seaside. Cypress Point, the undisputed king of the peninsula. 6. Taking into account quality, variety and accessibility, where do you place Monterey in a global ranking of golf destinations? How does it stand up to other golf-rich regions in, say, Ireland, Scotland, Australia or other spots that golf nuts tend to discuss? Panelist 1: The Monterey area does not have as many “bucket list” courses as the foreign three locations. When one talks about accessibility ( and cost), Monterey pales in comparison. Panelist 2: The comparison isn’t legit because it is asking to compare one dot on the US map with whole countries. 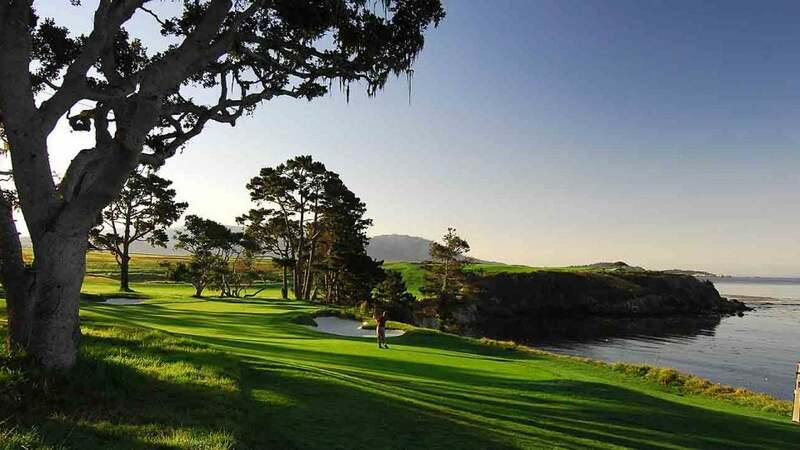 Monterey is number-one if you are dealing with a compact area (staying in one hotel) and if you are lucky enough to have access to the private courses. 17 Mile Drive is an added attraction. Yes, it is all expensive, but the golf is a once-in-a-lifetime experience. If you can’t play the private courses other good options are Spanish Bay, Poppy Hills, Pacific Grove and Bayonet Black Horse (both courses). On your drive from San Francisco you can play Pasatiempo and CordeValle. Panelist 3: Melbourne is the only other location with so many great golf courses in close proximity, where you could play so many top tracks from one place without changing hotels. With Ireland or Scotland there is a lot of traveling around and changing of areas, but on the Monterey Peninsula or in Melbourne they are very close by! Panelist 4: There is a significant drop in quality from the best two courses in the Monterey Peninsula and the next few. All of the courses are so near each other that it makes it easy for staying in one location. There are some less expensive but high quality options like Pacific Grove and Bayonet/Black Horse. The area is absolutely gorgeous with things to do for the non-golfer which is a plus. Only Melbourne, Australia has the same amount of quality golf in such a close proximity. 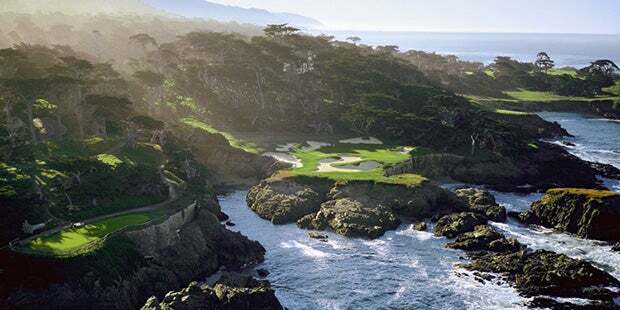 Panelist 5: If Cypress Point and Monterey Peninsula Country Club were accessible to golf visitors, then Monterey would be up there as one of the great golf destinations in the world, albeit very expensive and therefore probably a once in a lifetime trip for most golfers. Being able to stay in one hotel and play 6 – 8 great courses would obviously be a plus, but with The Lodge at Pebble Beach and The Inn at Spanish Bay being so expensive, a lot of visiting golfers would probably spend only 2 – 3 nights at one of those properties in order to guarantee tee times on PB and Spyglass and then stay elsewhere for the rest. However, as we all know, CP and MPCC are not accessible to visiting golfers unless invited by a member, so the other great global destinations like Ireland, Scotland, England and Australia would rank higher than Monterey, as all of the iconic (Top 100) courses are readily accessible to visiting golfers. 7. A Monterey-based PGA teaching pro once told a GOLF writer: “If Pebble Beach were private, it would stand alone atop the rankings. There would be Pebble, and then there would be everything else.” Agree or disagree? And why? Panelist 1: Disagree. There are too many greats to flatly make that statement. Cypress Point, Royal County Down, Portrush, the Old Course, Royal Melbourne, to name just ones I’ve played. Panelist 2: Ridiculous. Obviously, this pro never played Cypress Point. My rating of courses has nothing to do with public or private. It is really a toss-up between Pebble and Cypress. Panelist 3: Wrong. It wouldn’t even be number-one in its neighborhood. Panelist 4: Totally disagree. Even though I think a course with such small greens would work better at a private club, the pro does not take into account the seamless melding of different settings at Cypress Point and the holes between 11 and 17, which may be the single best stretch on the planet. Also, at Cypress there are no pedestrian holes like 1, 12, and 15 at Pebble. Panelist 5: Totally disagree and my gut feeling is that this PGA teaching pro has not played many of the great courses around the world. In fact, his comment is somewhat asinine and a course has to stand on its merits in the rankings regardless of whether it is private or public.